We had lunch at Buona Sera- an Italian restaurant on Maple Avenue with delicious antipastos, pastas, and entrees. Then we checked out three great clothing stores: Rok and Lola- a women's and men's clothing store on Broad Street with the same flair as clothing stores in NYC's Soho. 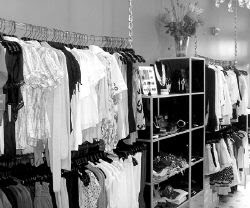 They have great leggings, jeans, tunics, t-shirts, fun handbags, and even a vintage section. Another great find was I C Gold Boutique on Front Street- a store after my own heart! It has trendy clothing and accessories for the young woman "who finds fashion as her treasure"...that's me for sure! They have a lot of great tops by some of the designers the stars in L.A. are wearing. And 4B- a store so beautiful I thought I had been transplanted to L.A.'s Robertson Boulevard and forgot I was in Jersey! And for good reason...the owner, Mimi James, is originally from California and opened this boutique to aim towards the shopper who appreciates the great fashion cities of New York and L.A. She has truly AWESOME dresses, jewelry, accessories and clothing. I got two gorgeous necklaces from this store...and can't wait to go back for more great stuff! 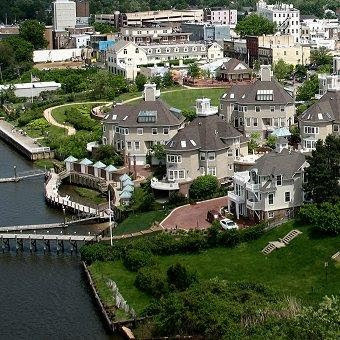 Red Bank has so much to offer! 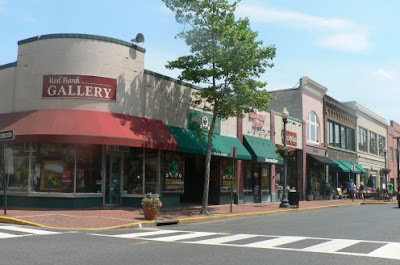 There is another event happening this coming Sunday 09-20-09 called TASTE OF RED BANK. From 12-4p.m. you can taste great dishes from 30 Red Bank restaurants and food businesses...advance tickets are $25 for adults ($30 day of the event) & $10 for children. If you decide to check it out...we might just see you there! I just checked out the article and it's really great!! Thank you so much for including my store in it, I appreciate it so much!